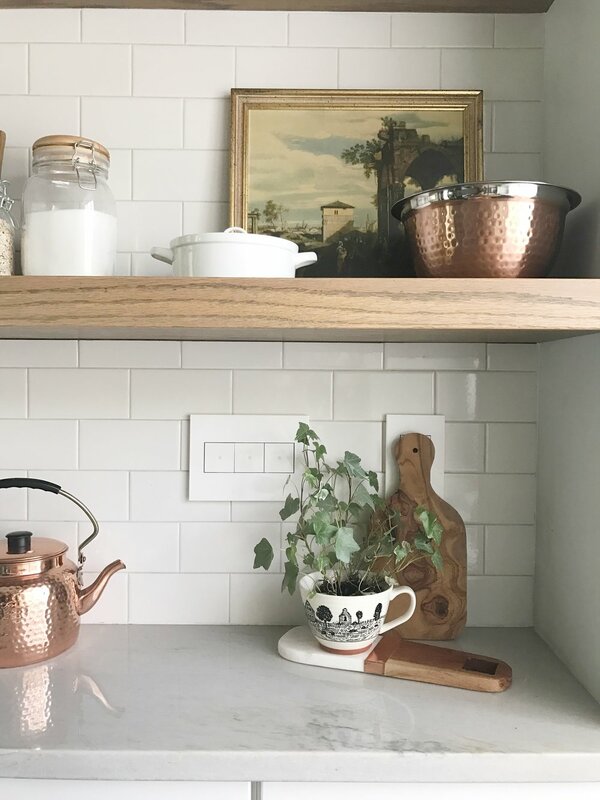 In our kitchen we have glossy white subway tile for our backsplash and we went with the glossy white outlet wall plates and push light switches in here. I love how they blend right in to the tile and the push button switches are completely flat. They're just so sleek! We also opted for the dual usb outlet in here in two places. 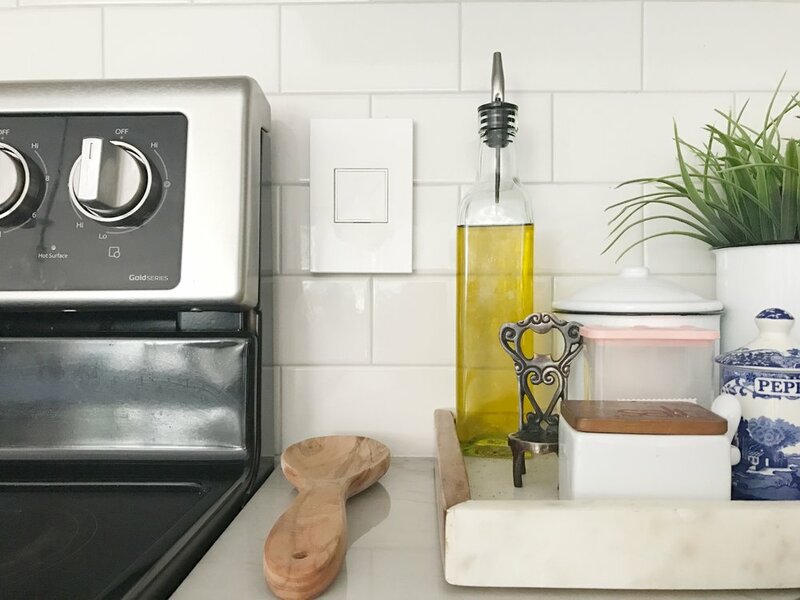 We are constantly charging phones and ipads out here on the kitchen counter so this was an easy way to make life a little easier. We have a lot of extra cords but no extra plugs for charging so this was perfect for us. I like to hide my outlets when I can but here is a close up of the dual usb outlet. Love having it here in the kitchen! Another product we chose were the pop out outlets. How cool are these?! I love that the outlet holes are hidden and I can get rid of the ugly child protector plug covers. These are great for the outlets that you don't use very often or just want to hide. Speaking of outlets, they also offer tamper resistant outlets where its REALLY hard to get anything inside the holes that isn't supposed to be there. They've got a patented shutter system and it really works! Gives this mama some peace of mind for sure. My little ones love to play with daddy's tools and I am always so nervous one of them will stick something metal in the wrong place and get hurt. Thanks Legrand! Legrand offers so many awesome products and the outlet covers, which don't have any ugly screw heads showing either by the way, come in a variety of colors. If you want them to blend in with your walls, wallpaper, etc they have so much to choose from that you're sure to find something that works for you. I'm really happy with these products from the Legrand adorne Collection and love how such a little detail can make a big difference in the look and function of my home.